Postgraduate study helps you to achieve more in your career, to specialise or gain the knowledge to take you further. Discuss your study options with our academics and support staff and see our outstanding campus and facilities. Make a fast-track application with our admissions team. Attending the Open Evening helped me to make the choice to come to Middlesex. The academics were helpful, they answered all my questions. Attending the event gave me the confidence that I would gain the experience and knowledge that I needed. 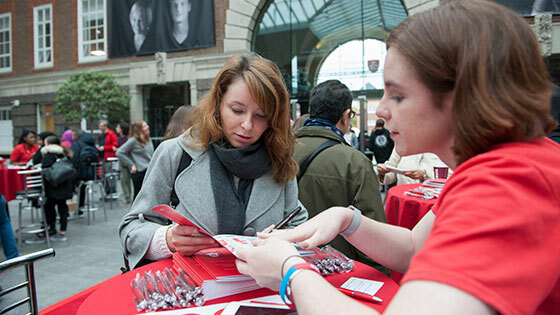 Take a tour of campus during your Open Event visit and get to know what Middlesex University can offer you. Join our Student Ambassadors as they show you our industry-standard facilities, key teaching and study spaces and social places. Meet our current postgraduate students and hear about their experiences of studying with us. They will be able to answer your questions about what it's like to study at postgraduate level at Middlesex. Talk to advisors from our admissions, learning resources, welfare and student services team and get your questions answered on what study options are right for you. I was 75% sure I wanted to attend Middlesex just from my research online. Once I had been to the postgraduate evening, talked to a programme leader, current part-time student and experienced a small portion of what they had to offer me as a student, I applied right away with the on-site admissions team, and I haven't regretted my decision! Our campus is only a 10 minute walk from Hendon Central on the Northern line and on or close to nearly 20 London bus routes. Plan your journey to come and see us.